In addition to my work for remuneration, I did a lot of outside literary work in 1983. I was President of the English Association, and we began active collaboration with the British Council, which had just opened a new Multi-Purpose Hall at the premises in Alfred House Gardens into which it had recently moved. I was encouraged to develop cultural programmes by Zem Sally, who had been appointed Public Relations Officer. In addition to her work with the media, she wanted good use made of the Hall for cultural activities, and we developed a productive collaboration. I continued too with my work at the SLBC, shifting between the ‘Arts Scene’ and ‘Literary Quarter’. On one of these programmes I interviewed Shiva Naipaul, who had been sent to me by Ian Goonetilleke, who had seen me as a protégé of sorts after my resignation. Richard’s fantastic radio voice also led to him being asked by Jayantha Wijeratne to produce a programme of satirical entertainment, which was called ‘Left Luggage’. This was hilarious, and I still recall one episode in which they did a skit on the advertising craze that had recently taken over our increasingly commercialized world, by singing the praises of Apsara products. I continued to go often to Kurunegala to write. Lakshman was away, having been advised to take things slow after his first heart problem, but in any case I stayed not with him, but at the Old Place, the old family house that was gradually falling into disrepair, with only my mother’s cousin Lakshmi in residence. She coped admirably and, though my visits caused her extra work, I think she enjoyed them, for they were a break from the monotony of the decade and a half she spent there by herself in that rambling mansion. 1983 then began bleakly in every way possible. It got worse over the year. But I had in fact a relatively pleasant six months, doing largely what I wanted, with a freedom I did not have afterwards, until the time when I became a Member of Parliament. My occupation, if one could dignify leisure by such a term, was giving tuition in English, largely for the Advanced Level Exam, though I had a few degree students too. Richard and I worked together, in a lovely old house in 8th Lane which belonged to Maive Outschoorn. My father looked after their affairs in Colombo, and kept the house for their not very frequent visits, until he was finally able to sell it for them at the end of the decade. There was a delay about this since there were a couple of tenants who refused to move, paying a meagre rent which was all they had been charged by Maive’s mother, Mrs Kelaart, a great friend of my grandmother’s, another pillar of the Anglican Mothers’ Union. Meanwhile the house was looked after by Piyadasa as we knew him, who had been the boy at home when my parents got married. He had moved on to the Attorney General’s Department, when jobs went by personal recommendations, and then had made a romantic marriage to the ayah of my Wickremesinghe cousins. Then he had worked in our Embassy in Moscow, where he made all arrangements for the two visits I made, in 1972 to join my father on a Parliamentary Delegation and in 1975 when I flew Aeroflot on my return home between degrees. Early in 1983 then I found myself without a job, and out of favour with much of Colombo. But by then it had become clear to me that Colombo had no standards at all, and one really had no moral option at all but to be an outsider. This was not because of S. Thomas’ which, fascinating as it had been, was not at all significant in terms of the country as a whole. Rather, it was that while the whole esoteric drama of my dismissal was being played out, the country suffered the worst assault on its integrity it had had to face since independence. This was the referendum of 1982, whereby J R Jayewardene extended for six years the life of the Parliament in which he had a massive majority. This was by virtue of the first past the post system, which he had recognized was unfair, so he had replaced it with a system of proportional representation. It was obviously also potentially destructive because, by having an utterly unrepresentative Parliament, there was a danger of dissent being driven underground. But then he decided to keep it going for a further six years through a Referendum, which he made it clear he would use all the powers at his disposal to win. When I had resigned over the deprivation of Mrs Bandaranaike’s Civic Rights, which I saw as the first nail in the coffin of the country, most people thought I was exaggerating the danger. The following year, when we had the appalling thuggery of the District Development Council elections in Jaffna, with the burning of the Jaffna Public Library, more people saw the writing on the wall. And yet, most people in Colombo, including the Tamil elite, continued complacent. Most of them continued to believe in Jayewardene, and voted for him at the Referendum. One of the few who understood the implications of the move was Chanaka Amaratunga. He had been a protégé at Oxford, where I had helped him get into my College, and then argued his case when he was in danger of being sent down for total academic indolence, which he justified on the grounds that politicking at the Oxford Union was more important. He did however get a degree, and then went on to do postgraduate work in London. He excelled at that, and what began as a Master’s degree was turned into a doctorate on the advice of his supervisor. The Inquiry was a hoot. It was held in the Cathedral, and I was allowed to take a friend. Radhika Coomaraswamy kindly accompanied me on the first day, but she was a busy person, and subsequently I took Glencora, who sat there throughout the proceedings for the next few weeks, and reacted splendidly whenever occasion offered. The Board had ignored the advice of the lawyers that they should ask me to nominate someone. There was also a recommendation that the third person should be someone absolutely neutral, but this was ignored, and instead they chose three people, two of whom where former Members of the Board which had selected Illangakoon to be Warden. Clearly they could not accept that he was a scoundrel, so I realized the dice were stacked against me from the start. The third member was Vincent Thamotheram. He had been with my father in the Attorney General’s Department and Mahinda Ellepola, whom I had consulted, told me that he would in essence get his revenge for the various digs my father had had at his expense. He was also connected to Duleep Kumar. I therefore thought I might as well enjoy myself, and in the course of the Inquiry I accused him of being prejudiced: the next day I apologized profusely and said I had not realized before that he was related to the Treasurer. This caused him apoplexy, and he claimed it was an even greater insult, which was of course true. While awaiting the charges and the inquiry, I did a little investigation, aided by a wonderful lady called Glencora Perera, who had decided to support me enthusiastically. 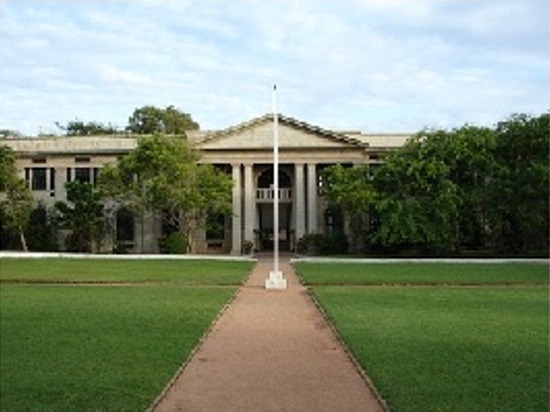 I had met her through the English Association, of which Ashley Halpe, its long-standing Chair, had asked me to become Secretary while I was at Peradeniya. Glen had known my uncle Lakshman in her youth and thought I took after him: though a solid supporter of the UNP, she was very positive about my resignation, unlike most of the elite in Colombo. Interesting, I was told by one of them, when I started having problems at S. Thomas’, that one rumour being spread was that I was not really interested in S. Thomas’, but had wanted to make a mark there so that I could then go into politics and rival my cousin – Ranil Wickremesinghe then being Minister of Education. This was a preposterous idea, though I did think that Ranil, though a relatively good Minister, was weak on some matters. I had called him about restarting English medium, and he told me flatly that it was illegal. When I pointed out that he was permitting English Medium to be started in the guise of International Schools, he said that those did not come under him, but belonged to another Ministry. He himself had sent the papers to the Attorney General, to have them prosecuted. That brought home to me the bizarre nature of the Jayewardene Cabinet. It was Ranasinghe Premadasa, the Prime Minister, who had taken the Colombo International School under his wing, when its Principal, the redoubtable Elizabeth Moir, had a row with the Investors who had set it up. Ironically, the Vice-President of the S. Thomas’ Old Boys Association, when I first started having difficulties, told me that the existing education system was beyond repair, and asked me to join him and some other Old Boys in starting an International School. I turned the offer down, which may, in addition to my response to Alex Wijesinha, that I did not see being Head of a School as a permanent career, have contributed to the rumour of my other ambitions. But the point was, I thought it better to try to reform the system from within. I did in fact prepare a long paper, in which I pointed out how we could legitimately conduct English Medium classes in terms of the existing regulations but, in the animosity that had developed against me, the paper was never put to the Board. To go into details of my roller-coaster ride at S Thomas’ would take up too much space and time, but an overview would be interesting, given what it taught me about elite society. After I had withdrawn my resignation, Illangakoon wrote what can only be described as a literary masterpiece. He claimed that he had long wanted to give up being Warden, and now asked again to be relieved, but added that he had nowhere to go and was unable to live on his pension alone. He then went on to say that he found it impossible to work with me. The Board accordingly decided to accept my resignation. Lyn Weerasekera and my old Chaplain Baldwyn Daniel pointed out that it was wrong to do this after I had been persuaded to withdraw, but the Treasurer produced a lawyer who said I had made conditions, and the Board could therefore reject these. When I got the letter claiming that the Board accepted my resignation since it was unable to accept my conditions, I pointed out that I had made no conditions, I had simply requested the Board to inquire into Mr Illangakoon’s conduct, and their refusal of my request did not affect the withdrawal. The Treasurer, a man named Duleep Kumar, tried to insist, but they then consulted proper lawyers, including Sam Kadirgamar, who said that there was now no resignation before the Board. So it was decided to accept Illangakoon’s resignation, but he was allowed to stay on in the Warden’s bungalow, and was to be paid till the end of the year. The Archdeacon of Colombo, Rev Gnanapragasam was asked to officiate as Warden. He reluctantly accepted the responsibility, but in effect left me to do the work, dropping in at College when he could, but otherwise working on files that I would take to him as required.